HBO and The Ringer's Bill Simmons is joined by Bryan Curtis and The Wall Street Journal's Jason Gay to discuss sportswriters of old, Twitter's role in changing the media landscape, unhappy players, James Dolan and other curious team owners, the college admissions scandal, the greatest sports books, and more. 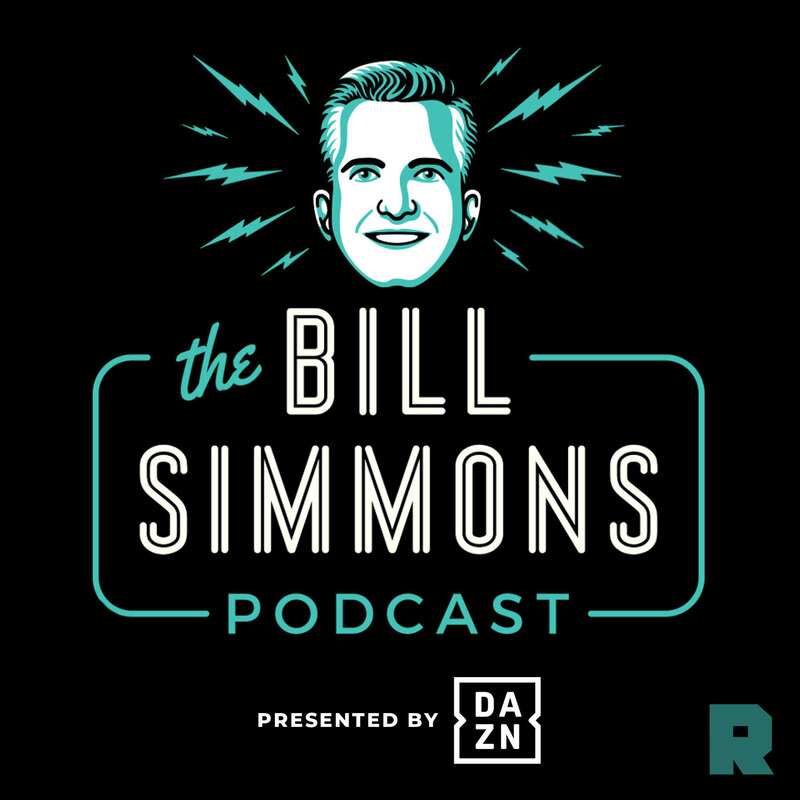 HBO and The Ringer's Bill Simmons is joined by Robert Mays to discuss Kyler Murray, the Arizona Cardinals, and what could happen to Josh Rosen, as well as Le'Veon Bell's possible landing spots (12:45). Then Bill talks to Rolling Stone's Alan Sepinwall, author of 'The Sopranos Sessions,' about Luke Perry, 'Beverly Hills 90210,' revisiting the 'Sopranos' ending, and more (54:43). HBO and The Ringer's Bill Simmons is joined by Kevin Clark and Mallory Rubin to discuss possible landing spots for Antonio Brown, Le'Veon Bell, Kyler Murray and more (3:40). Then Bill talks with Chris Ryan about the Ringer article, "NBA Take Meter: The Stretch Run, Part 1" as well as ESPN's Tim Donaghy report (43:45). Finally Sean Fennessey joins Bill and Chris to revisit the 2014 Oscars 5 years later to dole out some cinematic justice (1:03:40).